Stop waiting around for the career--and life--that you deserve and start taking the reins! Leading Women shows you how to claim power and respect, conquer your internal barriers, and change the world by helping other women do the same. 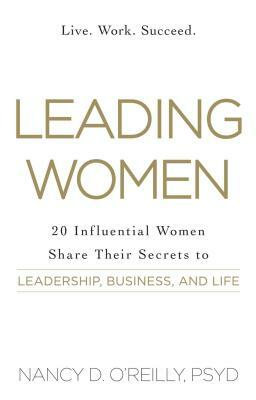 Featuring stories from twenty nationally acclaimed female leaders, this empowering guide offers real-life advice for breaking free of the predetermined roles in the business world and life. Powerful women such as New York Times bestselling author Marci Shimoff, advocacy leader Gloria Feldt, and Emmy-winning television host Aurea McGarry describe what it's like to go beyond their comfort zones, hold their own in a male-dominated environment, and take control of the situations that keep many women from achieving their goals. From corporate coach Lois Frankel's key ways to becoming a natural and necessary leader to bestselling author M. Bridget Cook-Burch's struggles after years of abuse, their insight will help you embrace your purpose, seize important opportunities, and overcome any obstacle that comes your way.